Michael Pinsky’s Life Pulse. These could be fun on a speed date. Science Gallery London certainly has its finger on the pulse. Your pulse. The first exhibit of its new show takes your heartbeat from a touch pad and synchs it to a lamp. It's a simple device that converts your internal lub-dub into photons, then scatters them across the room. Spare Parts is all about the future of the human body. How will we replace, repair and augment ourselves with the emergence of new technology? It's an exhibition that takes many twists and turns. Moments after broadcasting our pulse, we find that our ears have inflated. This was not altogether pleasant. Other pieces are more cerebral. 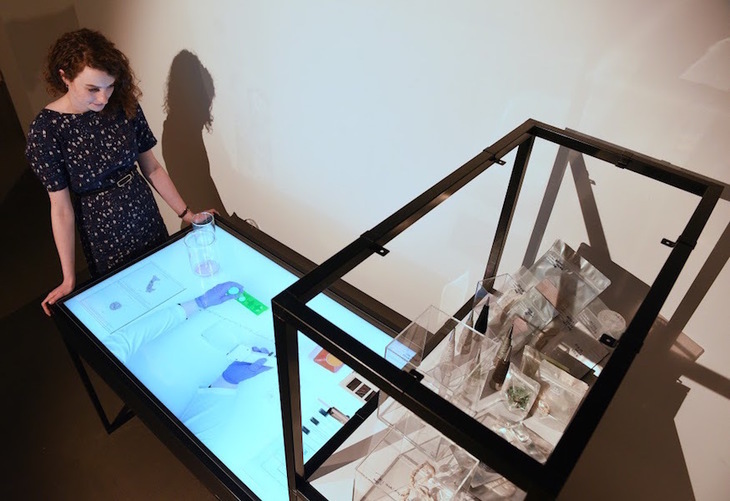 One particularly striking piece is a lab-bench, where a 2-D video image appears to interact with real-world beakers placed on the screen — alongside Amy Congdon's display of body parts crafted from fabrics. It's one of those exhibitions where you never know what's around the next corner. 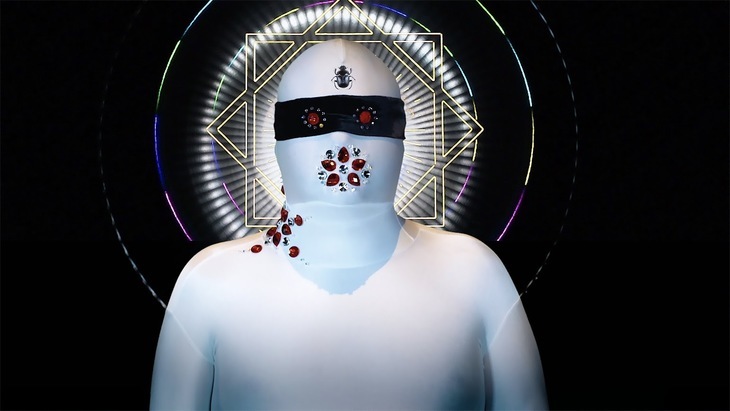 Live bees crawl in and out of the building; rubber organs demand to be probed; a man in a white bodysuit writhes on a video screen, while a lady rearranges some jelly. Just as we're about to leave, we notice that we've been walking beneath another of the installations all the time. Do look up and ponder. We can't claim to have fully 'got' every exhibit. High concepts are not always explained with clarity. 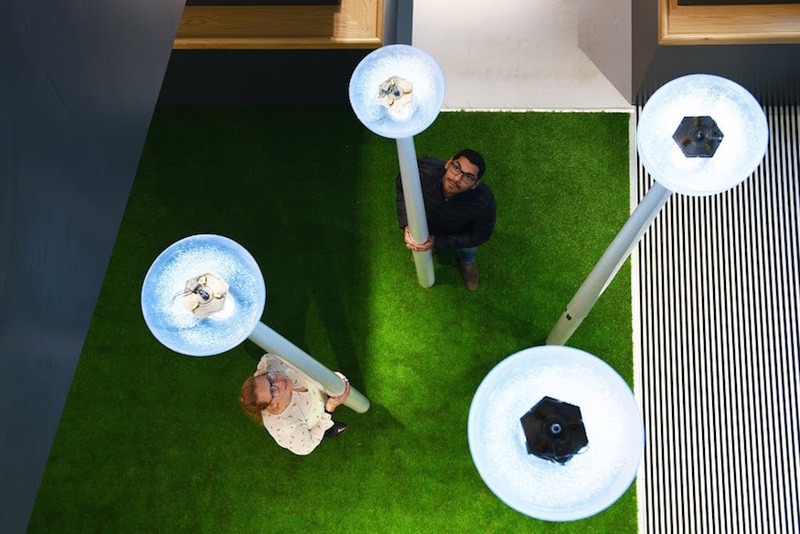 Elsewhere, 'experimental incubators hosting cellular life' sound cool (and one of them involves those bees), but it raises the question: 'as opposed to what other kind of life?'. It's a mixed bag that leaves you part baffled, part enriched. Still, it's a free show, so won't cost you an arm and a leg... or any other body part. 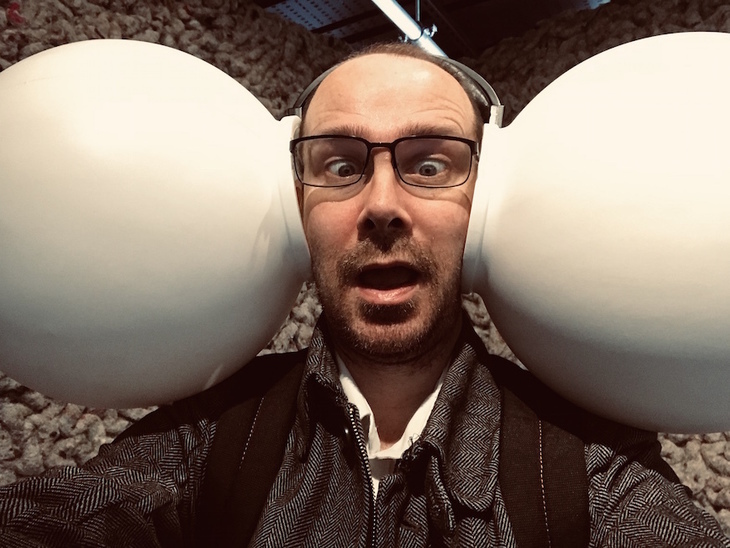 Spare Parts is on at Science Gallery London until 12 May 2019. Find it on the former McDonald's site, beside the Shard on St Thomas's Street. Entrance is free. Images ©Richard Eaton/Science Gallery London, except the one of the author, which was taken with our own sorry hand.